Endless meetings and no time to charge! 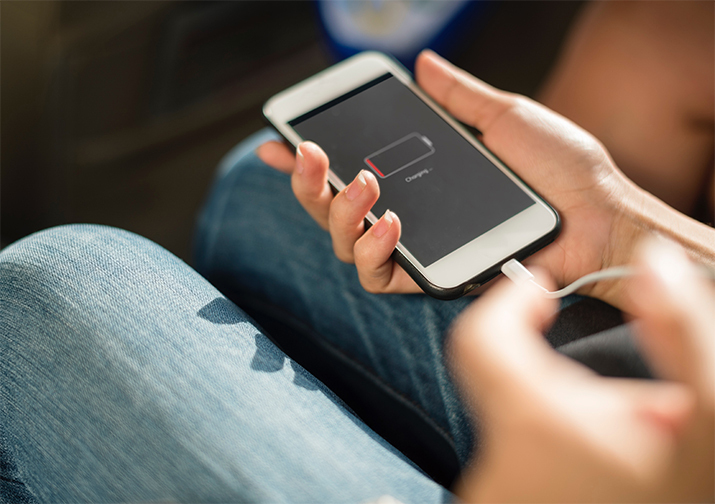 As our lives become faster, our phones also need to be charged faster to fit our rushing life. However, There are thousands of 3C devices come with all kinds of chargers and different charging specifications. I will break down the three most common charging specs for you! *Volt-ampere formula: Voltage (V) multiplies Current (or Ampere) equals wattage (W). Wattage in direct current circuits is the total output power. E.g., 5V*2A=10W means that a charger can provide 10 watts power for your device. But the real situation of how much power a device receives still depends on a device’s chipset. QC is a charging technology designed by Qualcomm. Both device side and charging side must be equipped with QC chipsets to enable the QC charging. QC uses high voltage and high current (5V, 9V or 12V, 1A-2A) to charge devices. 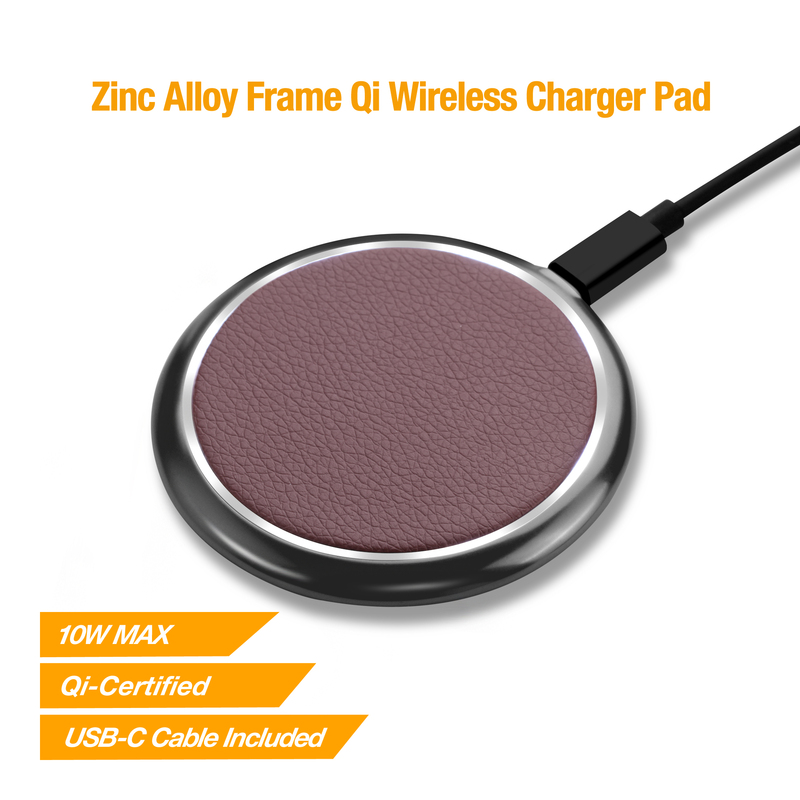 QC charging usually supports smartphones or tablets. *Notice: If only one side has QC chipset, a device will use "Fast charging" instead of "Quick Charge ". USB Power delivery charging is defined by USB Implementers Forum. USB Type-C connector is commonly used in Power Delivery. PD requires high voltage and high current (5V, 9V, 15V or 20V, 1A-5A) to charge devices. As PD’s voltages and currents are higher than QC, it can support laptops or devices with larger power demand. PD charging also needs USB PD chipset to work and it should be noticed that if only one side has PD chipset, a device will only use "Fast Charging" rather than "PD Charging". 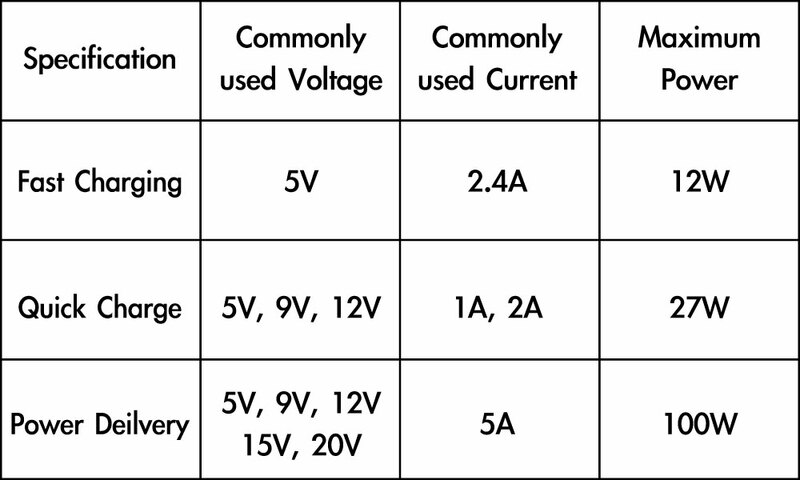 Below is the table of three types of charging technologies. 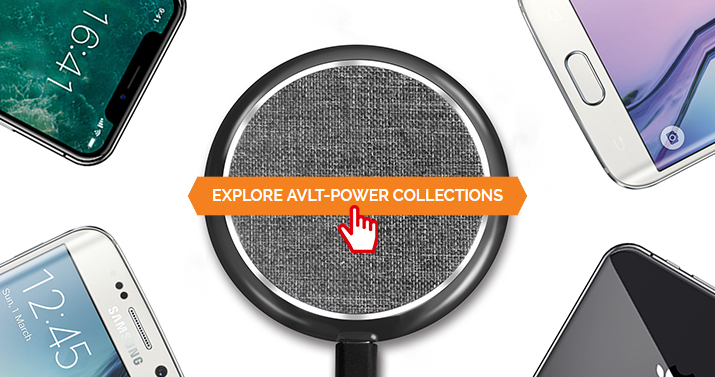 Now, go and check what charging spec your device is and select the right one to increase your charging speeds!